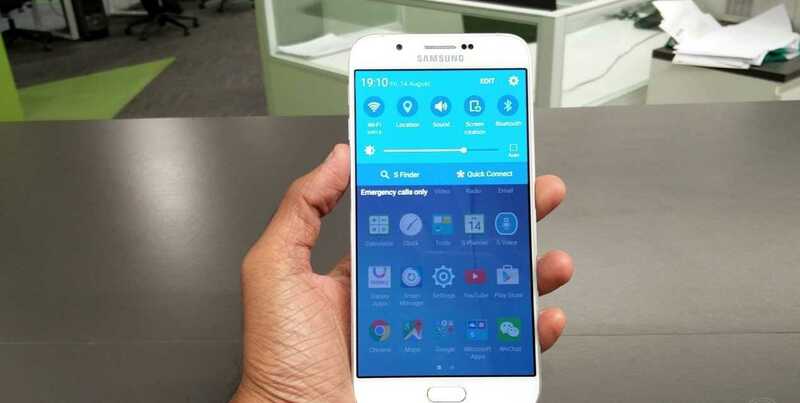 A few days ago leaked images of the purported Samsung Galaxy A8 2016 were seen online in what appeared to be an enlarged Galaxy S7. Before this, there had been leaked benchmarks regarding the hardware and software specs of the Galaxy A8 2016, but none of them have since been confirmed by the South Korean tech giant. Now, in a new turn of events, the phone has once again surfaced through the AnTuTu benchmarking site, giving out a clear view of what to expect when the phone is unveiled later this year. According to the benchmarks, the upcoming Samsung Galaxy A8 2016 will pack a huge 5.7-inch Super AMOLED display panel that includes a Full HD resolution of 1920 x 1080 pixels. Furthermore, the handsets will come carrying the 2015 Samsung flagship chipset in the shape of Exynos 7420, paired with a Mali-T760 MP8 graphics processor as well as a RAM of 3GB. In case you didn’t know, this is the same hardware configuration you find under the hood of the Galaxy S6 and Galaxy S6 Edge, but the Galaxy Note 5 only keeps the Exynos 7420 while adding a GB of RAM. Samsung Galaxy A8 2016 will include an inbuilt storage of 64GB, but of course, there will be room for microSD card storage. 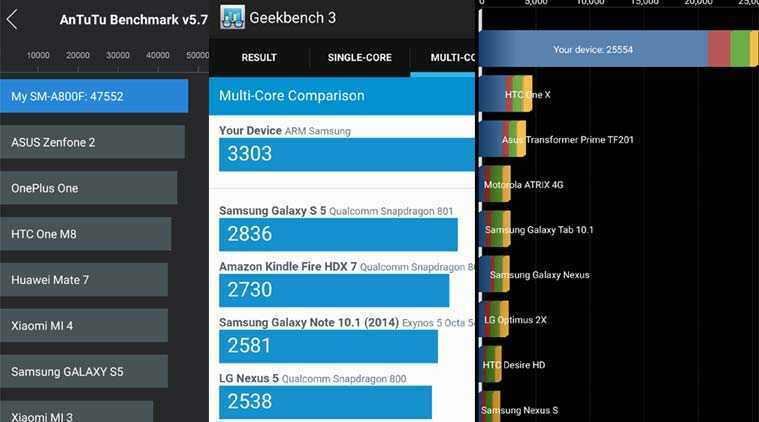 The leaked AnTuTu benchmarks also point towards an 8MP main camera and 5MP selfie camera, contrary to previous reports that had suggested a similar configuration as the Galaxy S6 and Galaxy Note 5. In terms of software, Samsung will install the newest version of Android 6.0.1 Marshmallow on the handset. Although Samsung has not mentioned a thing about the coming of the Galaxy A8 2016, the fact that it has already made an appearance at the FCC is an indicator that its release should be imminent. Last year’s Samsung Galaxy A8 came in with a huge 5.7-inch Super AMOLED display panel with a Full HD resolution. Under the hood, there was a Snapdragon 615 SoC and a 2GB RAM as well as onboard storage of 32GB, which can still be expanded via a microSD card. As for the camera, there is a 16MP snapper at the back and a 5MP snapper at the front, something that appears to be set to be changed, although it cannot be confirmed as for now. Nonetheless, from what it appears, the Galaxy A8 2016 will come in with a good number of upgrades over its predecessor.